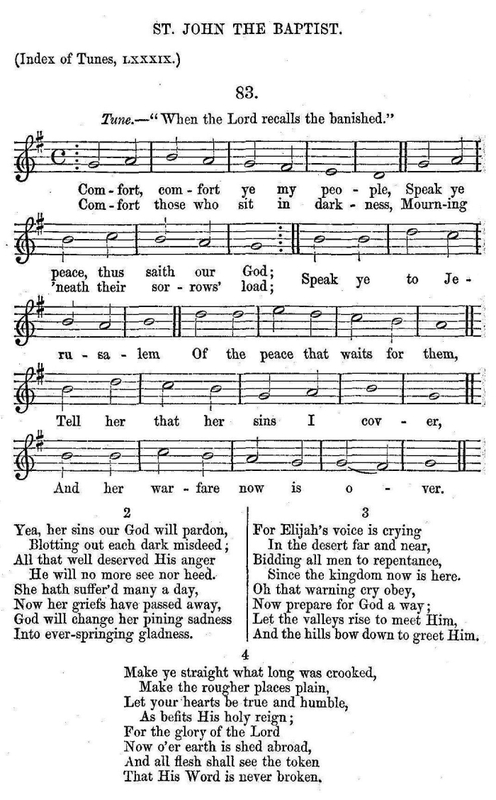 Music: "When the Lord recalls the banished"
Source: William Sterndale Bennett and Otto Goldschmidt, eds., The Chorale Book For England. Congregational Edition. (London: Longman, Green, Longman, Roberts, and Green, 1863, Supp. 1865), Translator: Catherine Winkworth, #83. Sheet Music from William Sterndale Bennett and Otto Goldschmidt, eds., The Chorale Book For England. Congregational Edition. (London: Longman, Green, Longman, Roberts, and Green, 1863, Supp. 1865), Translator: Catherine Winkworth, #83.